I got this product from a giveaway by I'm from global and got the chance to try it. 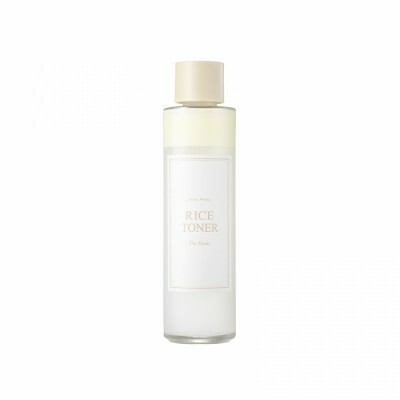 It a product that I did consider buying because rice is great for brightening but didn't do so because I was not sure if it was going to suit my skin I have been using this toner for about 2 weeks now and I love it. I find it great for colder seasons because it's so moisturizing! I do think that it has been useful in brightening my skin a little bit but I won't say that its solely because of this toner because I'm also using a vitamin c serum . So far ,I love it and enjoy using it but I do think that I might too heavy for warmer season. I can not believe how brightening this formula is. Over the past 3-4 weeks, it has faded my pigmentation (due to sun damage) so well, that I honestly wouldn't need any extra products with Niacinamide in it. My redness dissipates overnight when I use this instead of taking days/weeks to go (like when I use other products). It also makes my skin feel SO soft, especially when I use it after applying the I'm From Vitamin Tree Mask. This product is magic and this brand is probably my favorite skincare brand at the moment. This is an amazing toner! 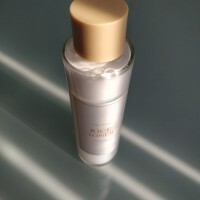 It is really hydrating and slightly brightening over time. I do not notice much of a scent to it and it has a watery consistency. My other products go well on top of it. I would recommend it to anyone who wants a nice brightening toner that has moisturizing properties as well.